Valves available in manual & actuated. Includes ball valves, gate valves, 3 way valves, butterfly valves and check valves amongst others. Available in brass, bronze, stainless, UPVCA and cast iron. Valves regulate direct flow of liquids by the opening and closing of various passageways within the pipe system or by partially obstructing them. These valves have many uses mainly in terms of activating the flow of liquid or cutting off the flow of liquid. Valves can also be used to increase or decrease pressure within pipe systems that can bear the load of this increased pressurisation. Utilising a valve in a pipe system is an ideal solution if you require the flow of liquid to be regulated, controlled or stopped at any time necessary. 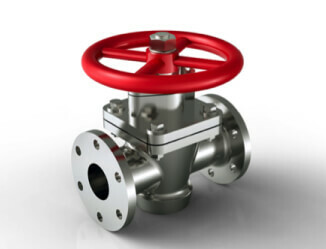 South West Steel offers a wide array of valves. If you are looking for these products and request a full product and price list then do not hesitate to contact us today for a free quotation.